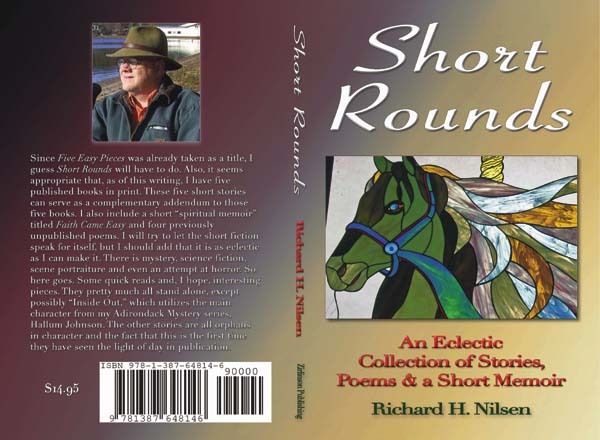 So, guys, since I released my book “Training Wheels” last month, not to be outdone, Herman (aka Richard H. Nilsen) has come out with two books. I should also add we are in the midst of Passover Week which began at sundown Friday (Good Friday for Christians) and ends at nightfall next Saturday. 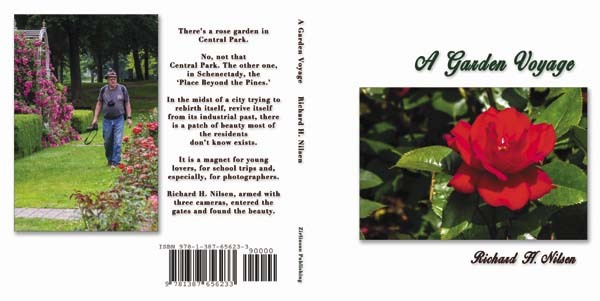 “A Garden Voyage” is neither a spoof nor a religious tome, but just a record of his day at Central Park in Schenectady last summer among the flower gardens, fountains and sculpture there. And with spring finally starting to look like a reality (or “Mud Season” here in Caroga Lake) it is a time to celebrate new growth and the beauty of plant life. For those who would like to see the colors, details and celebrate the new life and hope that spring can bring, I recommend this “coffee table” photo book to you without reservation. Happy Easter, Passover and Spring everyone! Kathryn Spira, a native of Cleveland who pursued an acting career in New York City and Los Angeles, now pursues freelance writing from Caroga Lake, in Fulton County. Previous columns and contact information may be accessed at her website . You can also follow her on Facebook under Kathryn Phillips-Spira, where her columns will also be posted.